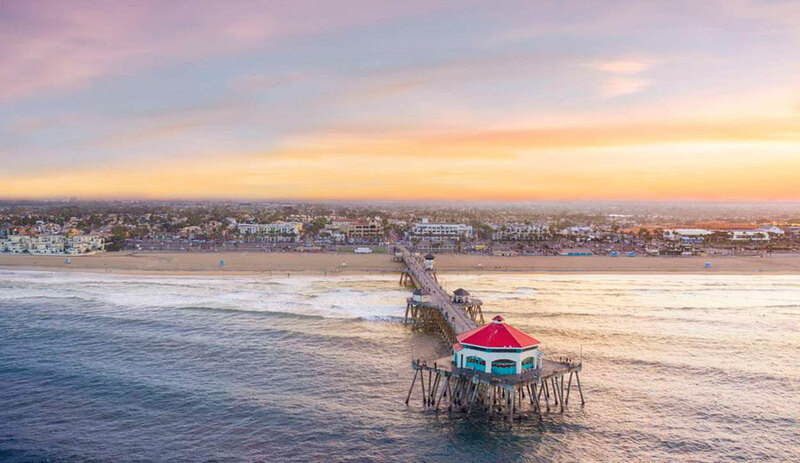 Huntington Beach, home of the US Open of Surfing, the very first live surf camera, and perhaps most famously, the place where Courtney Cox’s failed sitcom Cougar Town was filmed, is being sued by the state of California. Governor Gavin Newsom pushed the state attorney general’s office to file the suit against the Orange County city because, according to the L.A. Times, “it is failing to allow enough new homebuilding to accommodate a growing population.” What that really means is that the city isn’t creating enough affordable housing. See, back in 2017, a few measures were introduced to help the ridiculous number of homeless people in California get a place to hang their hats, and Newsom’s pissed because he says Huntington Beach is basically ignoring the growing clamor of shopping carts filled with trash bags and the smell of urine in the corners. Huntington Beach is not exactly a cheap place to live. According to Zillow and the L.A. Times, the median home value is $834,000. That means, of course, that renters are getting their wallets shredded by high rental costs while the homeowners dive into piles of gold coins and wash their butts with hundred dollar bills—which is their right to do, as homeowners in a place where the median home value is $834,000. It’s not a new issue, either. The City Council changed the zoning codes to reduce the number of houses allowed in 2015 in response to residents’ complaints about a proposed apartment complex that would provide at least a few humble doors for some of the alley-dwellers.